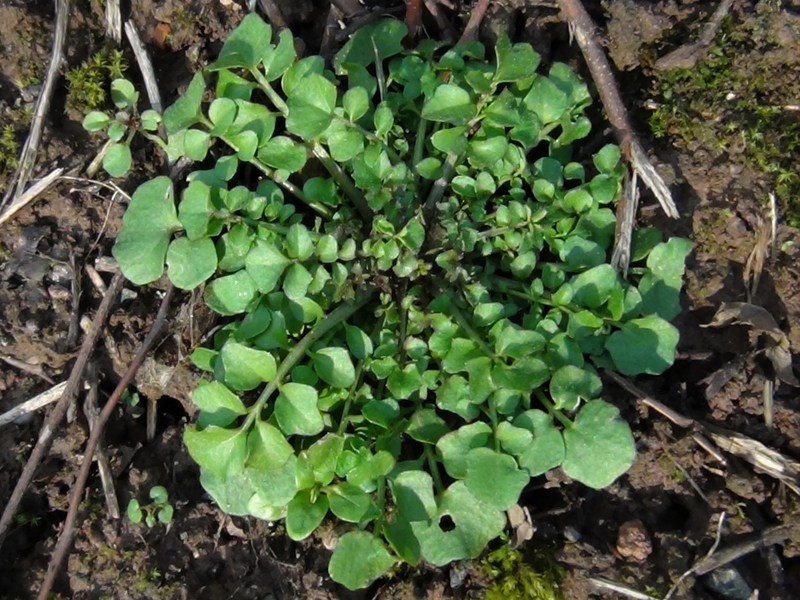 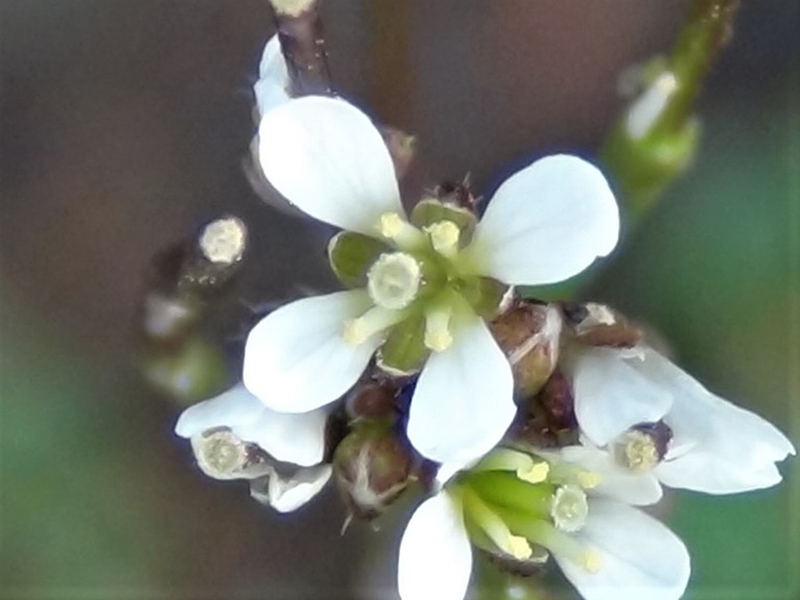 A perfect rosette of hairy bittercress. 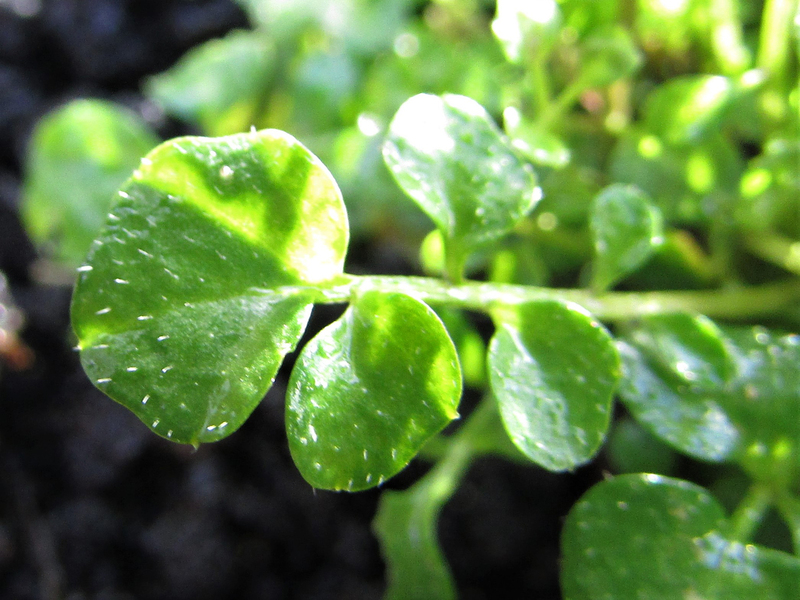 This lovely, strong tasting little plant is available all year and is abundant in the UK. 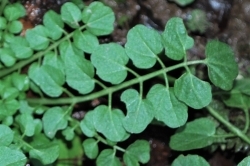 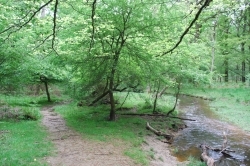 Small, green and rounded growing in opposite pairs along the leaf stem with one single, usually larger, finishing or terminal leaf at the end. 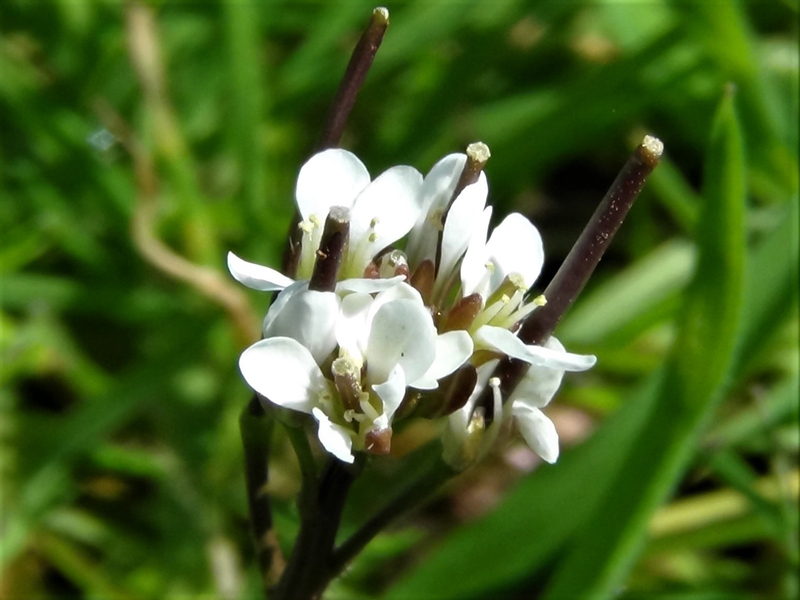 Tiny, delicate, white, four petaled flowers growing in small groups at the top of a vertical stem. 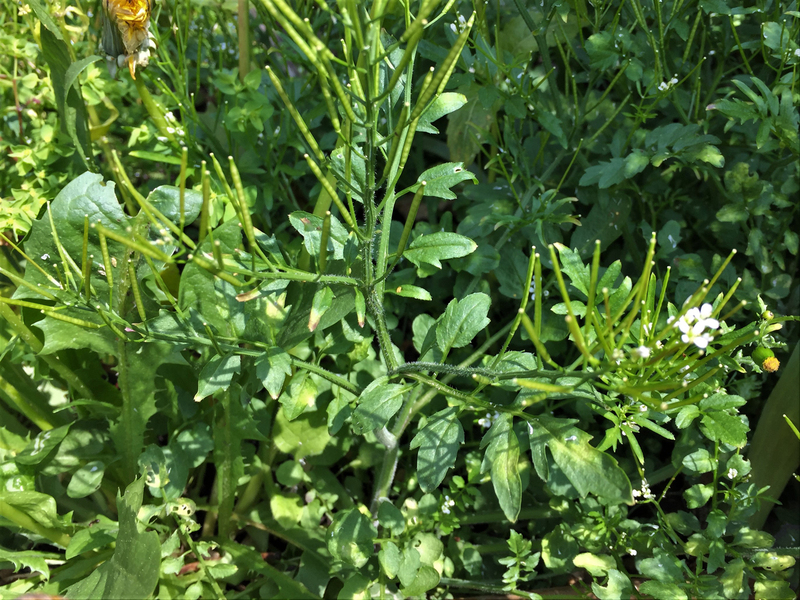 Rather like small green straight pea pods that turn to red/brown on maturity. 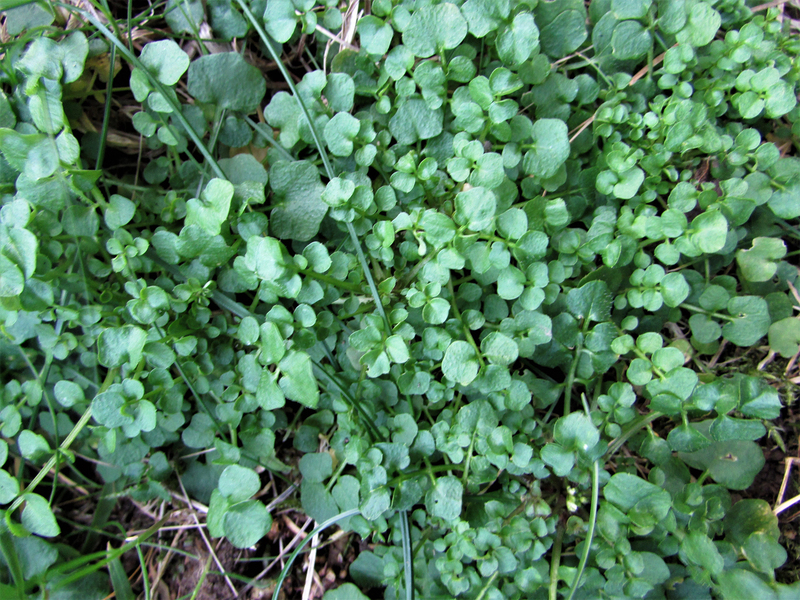 Occurs on bare soil, light grass, cracks in paths and growing on walls. 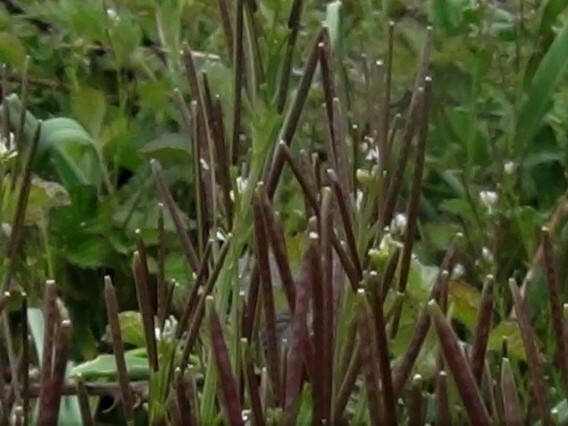 It is a very common plant. 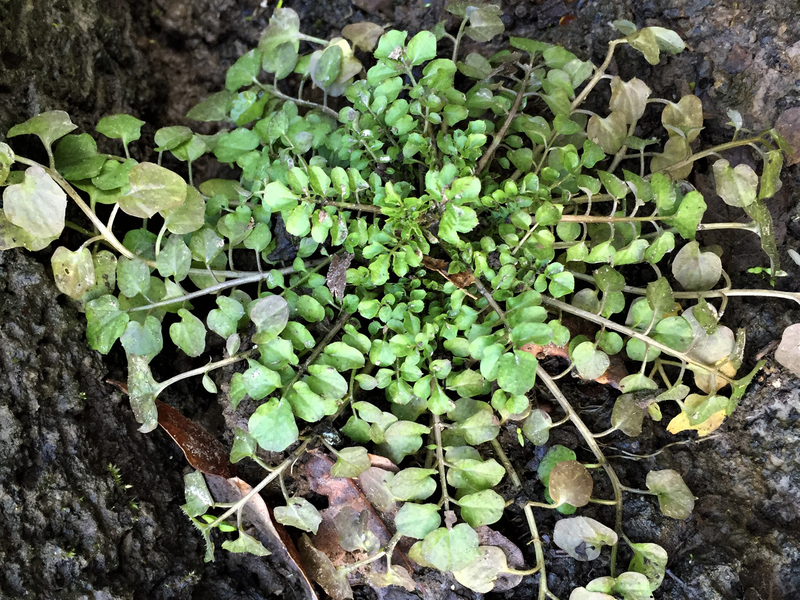 It will grow just about anywhere and does not need much light. 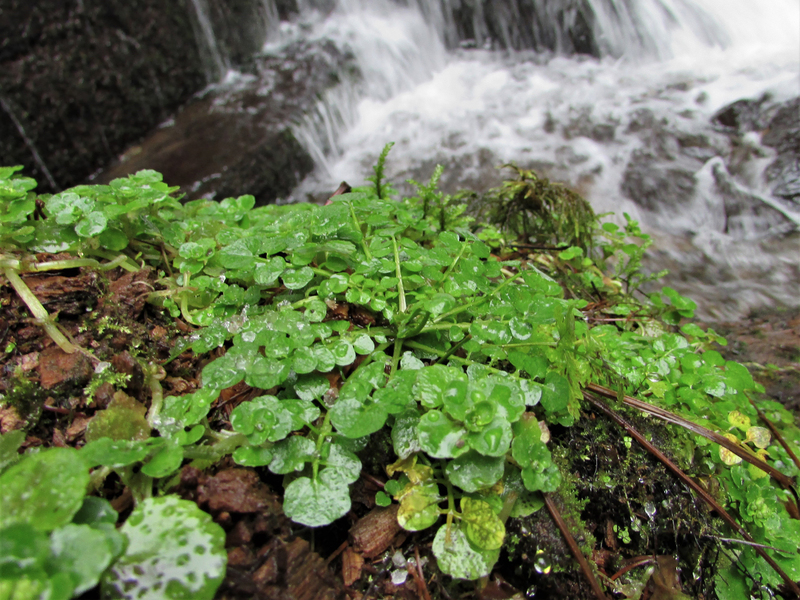 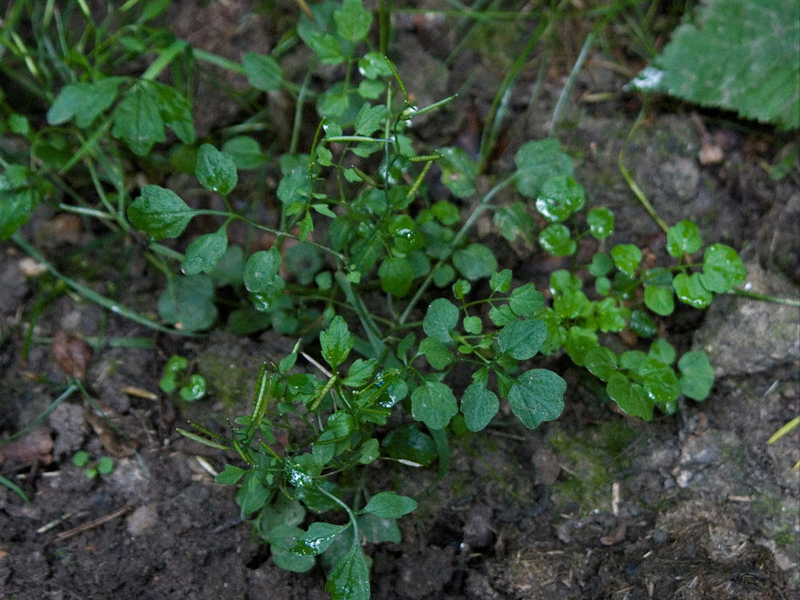 Other edible Cardamines. 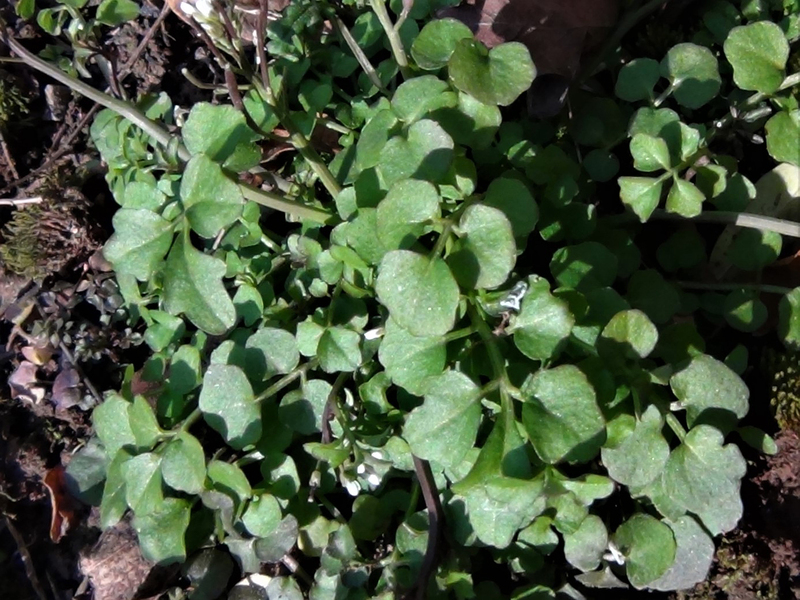 There are similar plants, but nothing dangerous, so the way to find out if you have Hairy Bitter Cress is to have a little nibble. 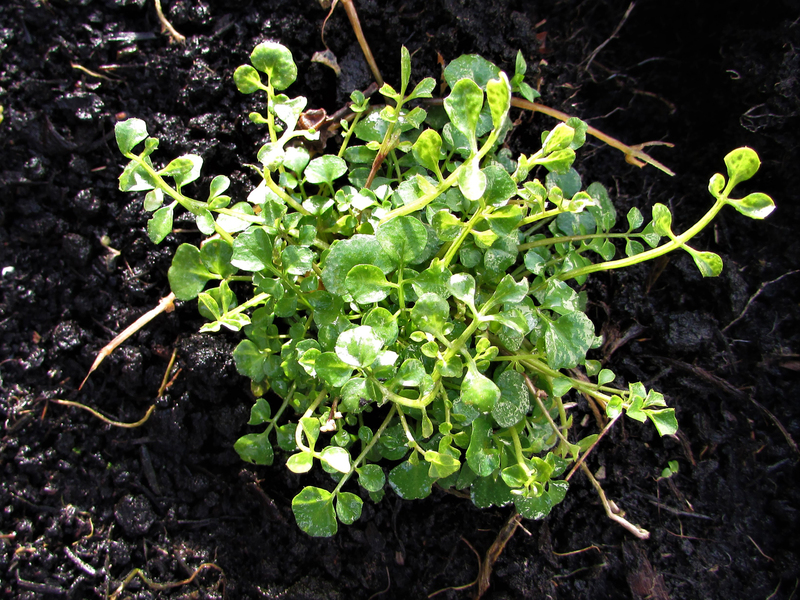 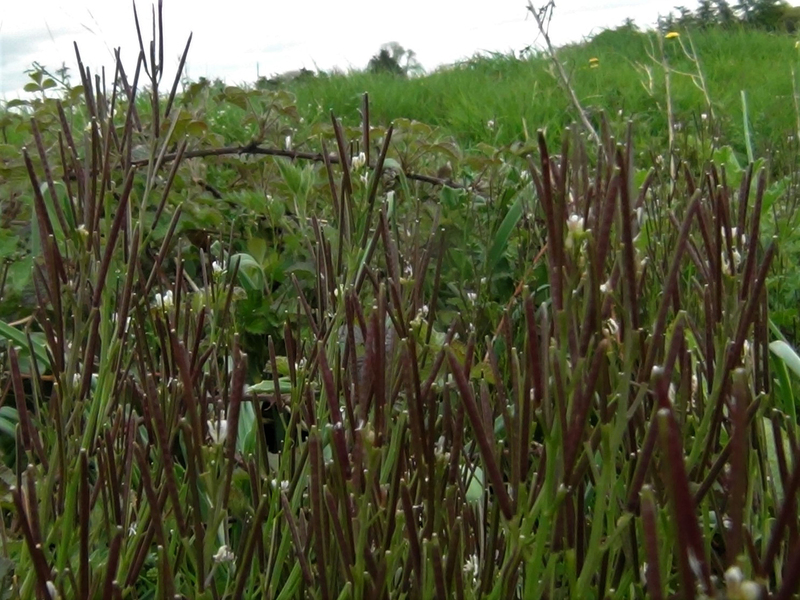 This plant tastes like cress crossed with rocket and is one of our favourite edibles. 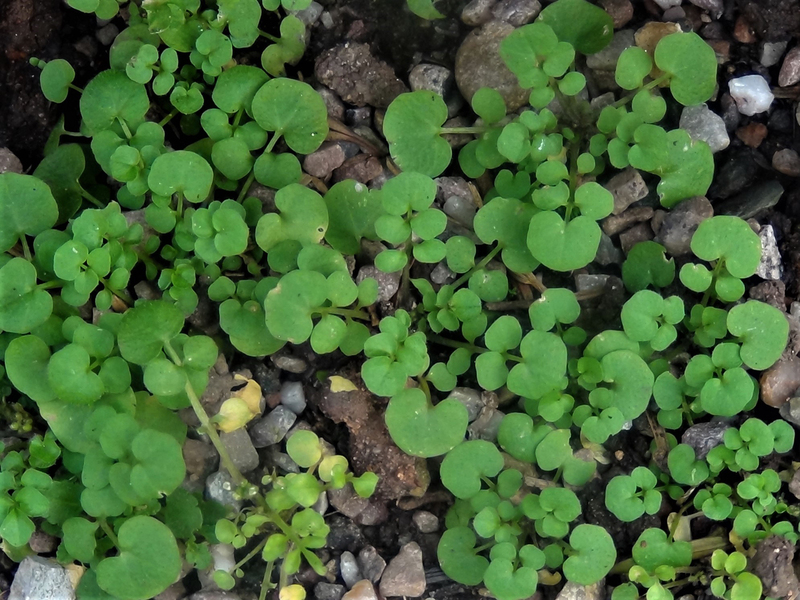 Great for salads, salsa, pestos and anywhere you would use cress raw, cooking, unfortunately, seems to remove the flavour. 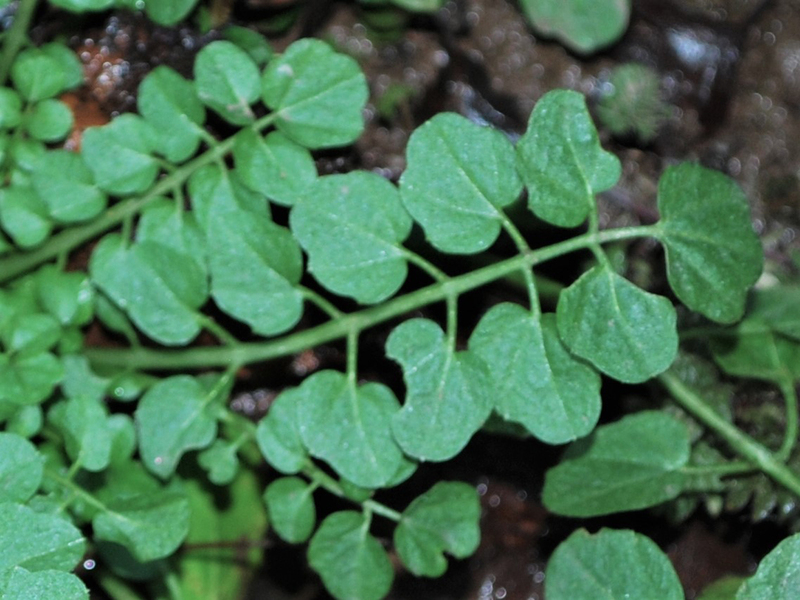 The leaves are the only parts we collect, they are quite small but usually grow in groups so a few leaf stems from each plant in an area will usually suffice for a meal. 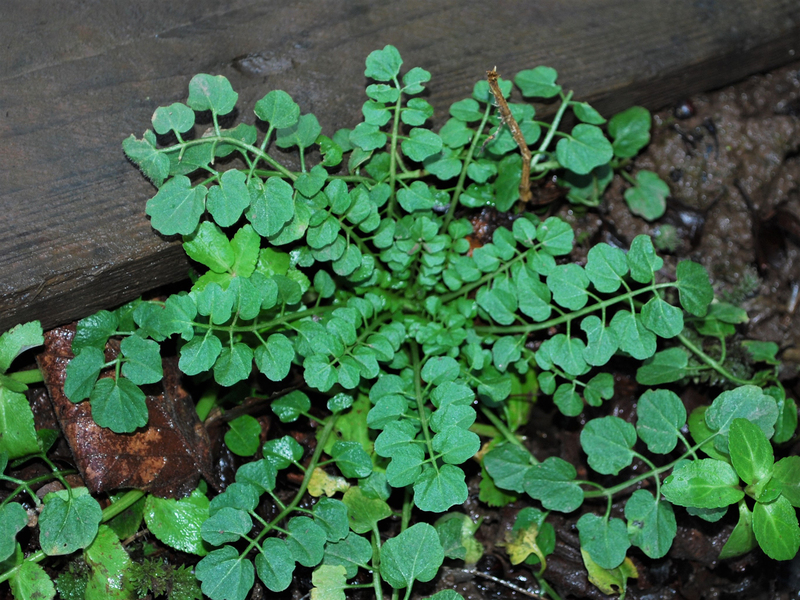 Uprooting plants is not allowed on common land in the UK but if you have permission to, this plant will do very well in a bowl of water on your window sill and with the flower stems removed as they appear, will keep producing leaves in abundance. 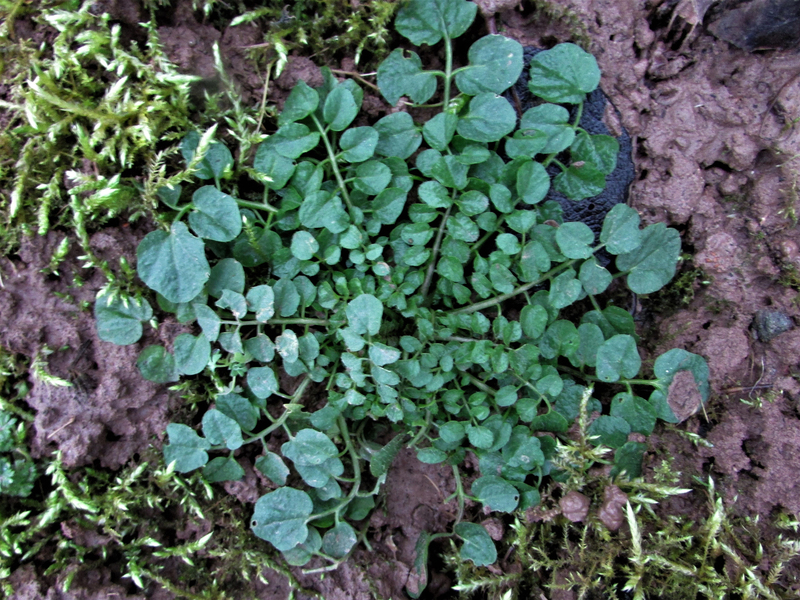 It has a 12 week lifecycle so if left undisturbed a patch can grow quite substancially in a year. 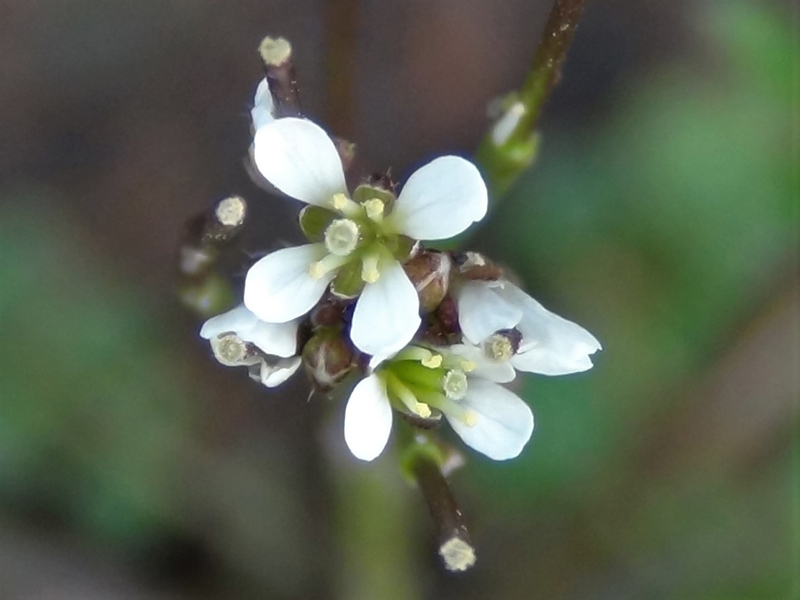 This species grows to no more than 30 centimetres tall. 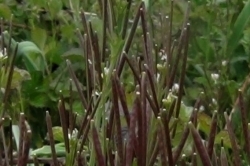 The thin seedpods are about 3 centimetres long, and explode when ripe flinging the seeds to new ground. 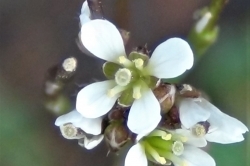 This plant is a member of the mustard family Brassicaceae.